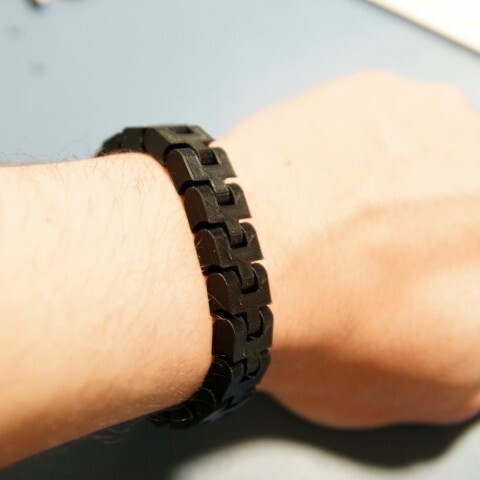 Modular Chain Bracelet #3DThursday #3DPrinting « Adafruit Industries – Makers, hackers, artists, designers and engineers! I made modular bracelet system – just for fun and to learn new techniques. How to make it – for a simple bracelet – print complete chain with proper lenght, connector and pin. Every extra part measures 1cm.